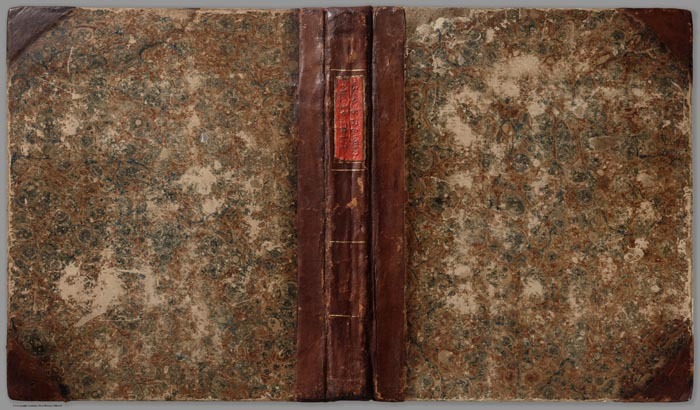 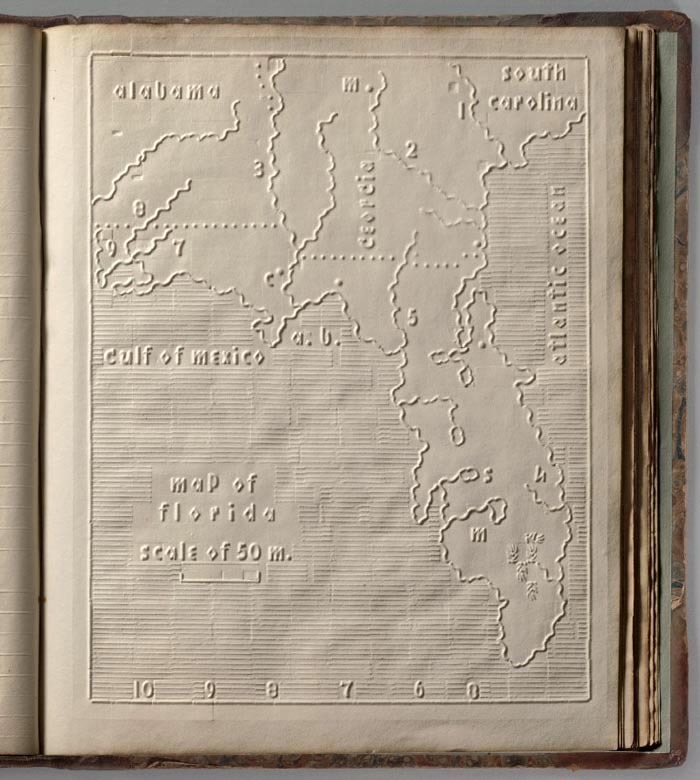 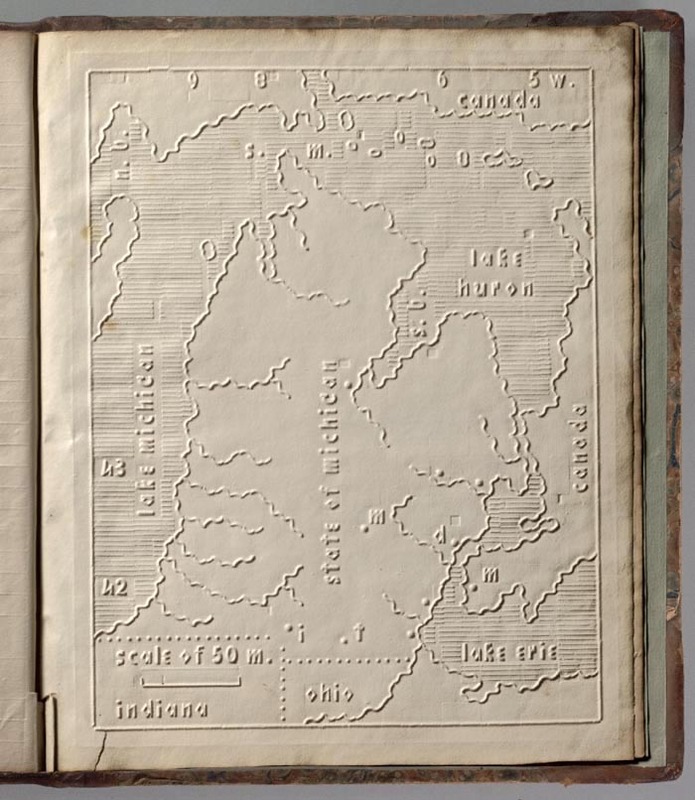 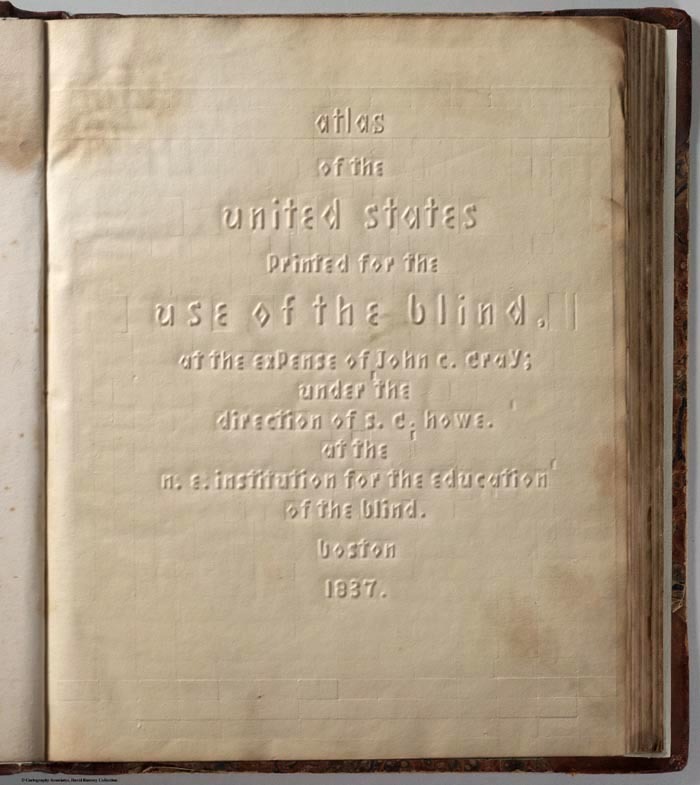 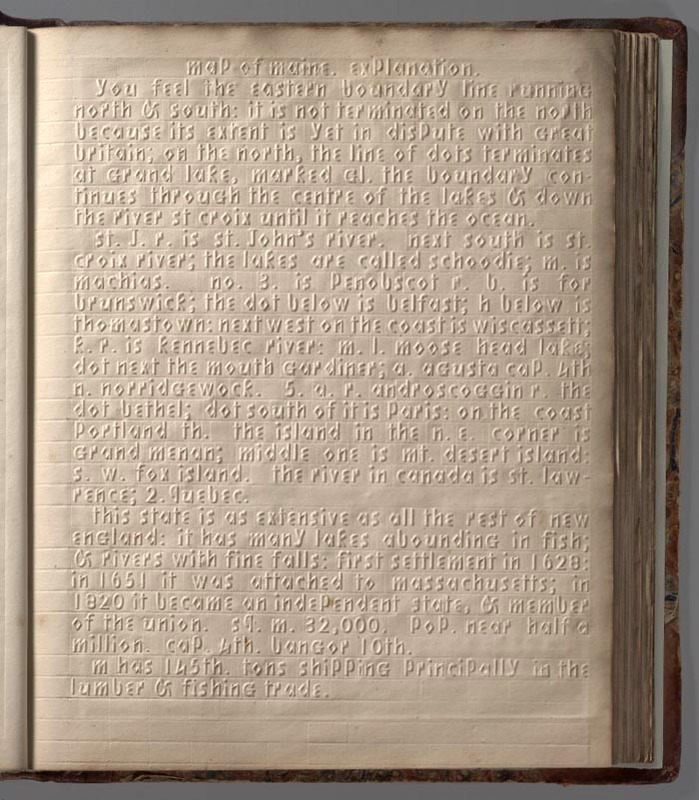 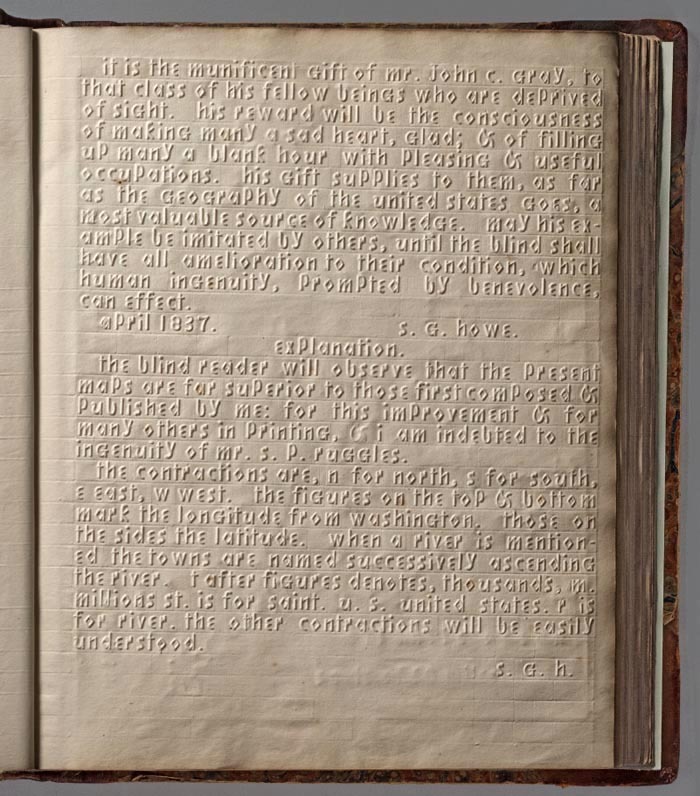 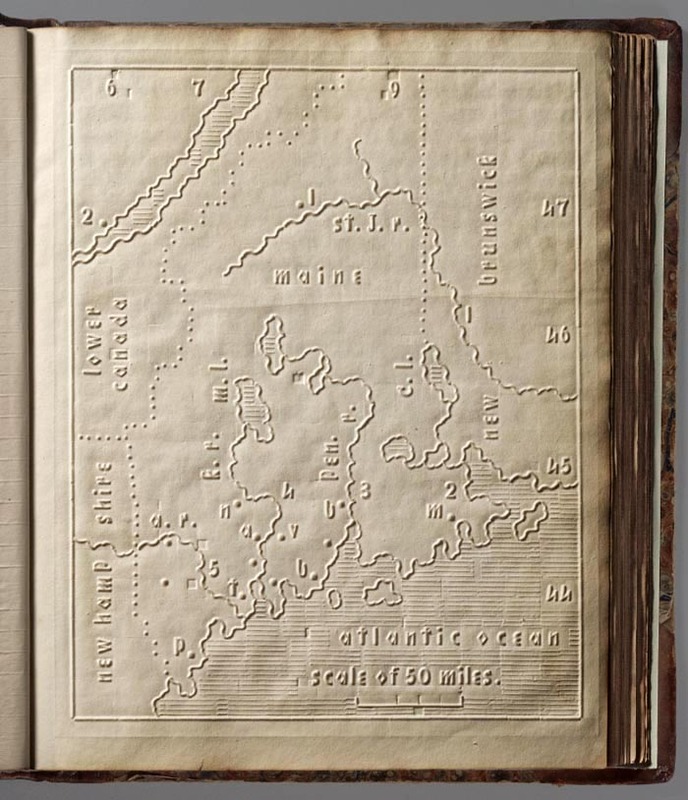 From the spectacular David Rumsey Map Collection, the 1837 “Atlas of the United States Printed for the Use of the Blind“, embossed heavy paper featuring lines, letters and geographical symbols, destined to help blind children to visualise geography. 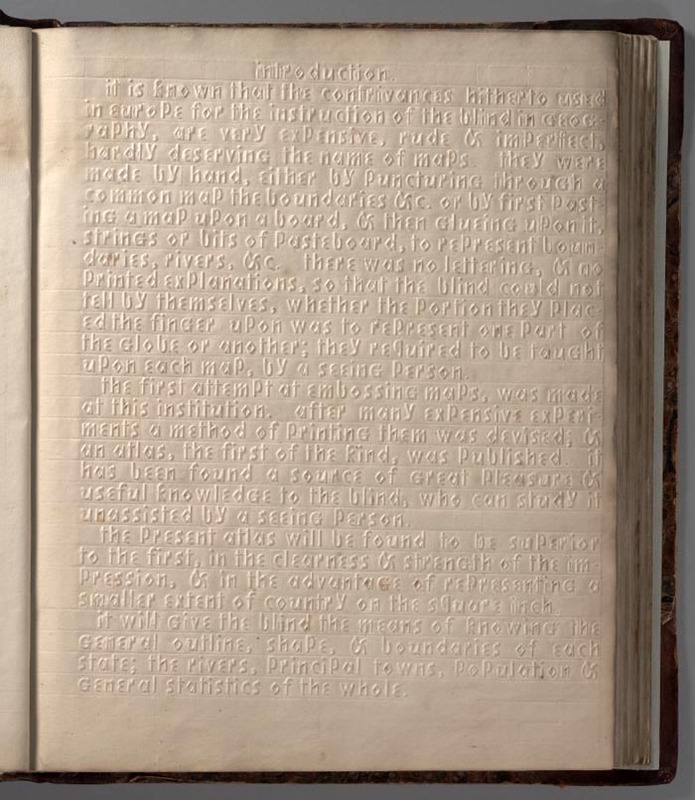 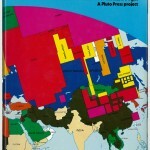 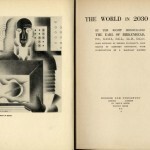 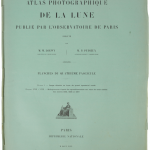 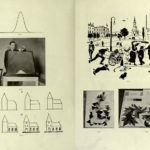 Here’s the whole book with zoomable pages. 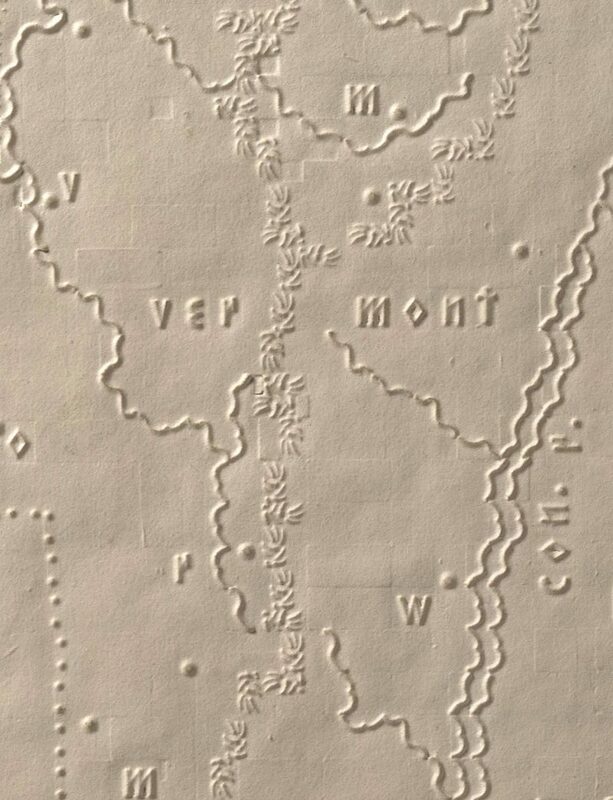 Below is the map of Maine, with dotted lines showing the border with Canada and New Hampshire. 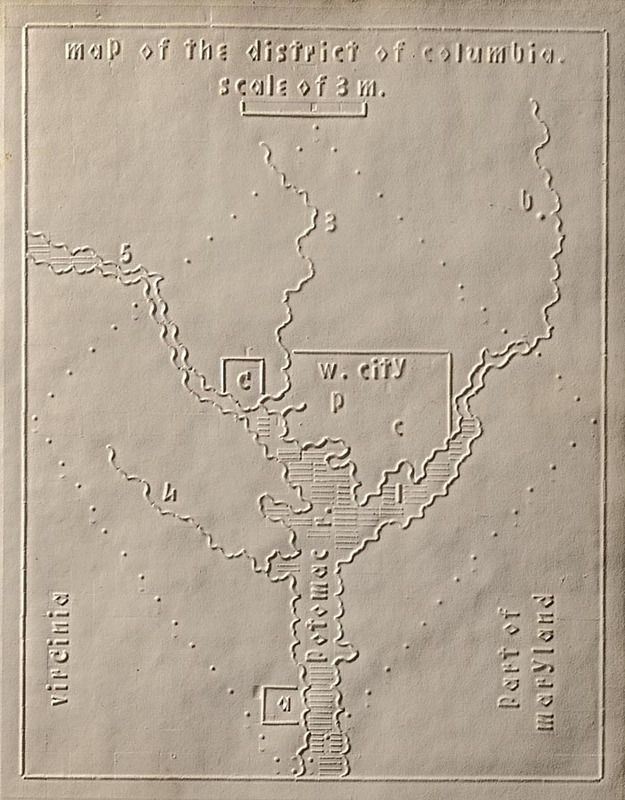 This enlargement of the map of the District of Columbia shows Washington (w.city), Georgetown (g), and Alexandria (a) as well as the President’s house (p) and the Capital (c).